CRISPR/Cas9-based gene editing has proven invaluable for creating novel cell lines containing genetic modifications such as knock-outs, knock-ins, or introduced single nucleotide polymorphisms (SNPs). This webinar will provide insights about an approach to shortening the timeline for gene editing projects by streamlining the most time-consuming step of CRISPR/Cas9 experiments: screening clones. 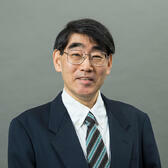 Dr. Tsukasa Sugo is CEO and Founder of GenAhead Bio in Fujisawa, Japan. Dr. Sugo earned his BS and Ph.D. degrees from Tokyo University. Prior to founding GenAhead Bio, Dr. Sugo worked at Takeda Pharmaceutical Company, leading research teams in genome editing, nucleic acid research and G-protein coupled receptors. He held a visiting scientist position at Alnylam Pharmaceuticals in the Boston area. © 2019 REPROCELL Inc. All rights reserved.